Beel found this beauty the other day. A poll conducted in an internet angler forum hosted by ColoradoFisherman.com shows that 44% of the respondents believe that information posted on the internet can have negative effects on fishing and an additional 19% believe the internet ruins fishing altogether (click on the graphic for a clearer image). So, if over 60% of the internet-poll respondents view the internet as bad for fishing, what are they doing on the internet in a fishing forum? Is Beel missing something? 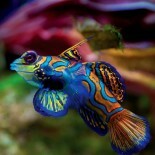 This entry was posted on February 5, 2012 by denstormer in Beel Bemused, Commentary, Fishing and angling and tagged USA.